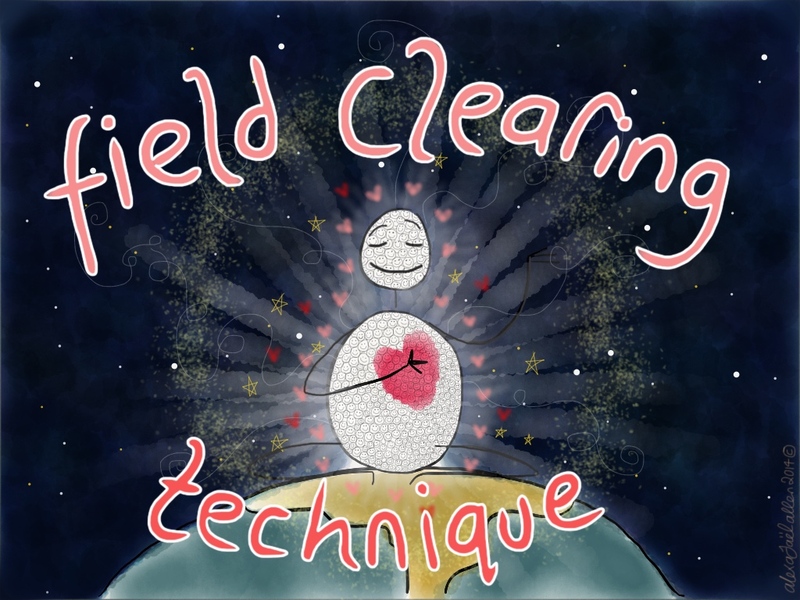 EFT Field Clearing Technique Guided Audio – Love Yourself To LIFE! EFT is an energy medicine practice that is easily learned and easily applied by anyone. It works by using the meridian system to release stress and tension (and therefore illnesses and all sorts of complaints) from the body and mind, much like it’s cousin acupuncture does. However, instead of using needles EFT uses gentle tapping on the meridian points instead. This is why EFT is also sometimes called ‘Tapping’. EFT is a powerful healing technique used to resolve negative emotions, pain, fear, blocks, phobias, life issues, trauma, disease and so much more. What is The Field Clearing Technique? It was designed to help someone change habitual patterns, particularly around addictions and stubborn behaviours, enabling the client to be powerful emit attractive positive frequencies into the field/matrix, instead of the frequencies of life long held negative beliefs and patterns. Just like in visualisation, the more that you can send emotionally charged positive images out into the field, the more you are affecting the positive direction your life will take. Rewire Your Beliefs for 21 Days or 90 Days? The field clearing technique was designed to be practiced for at least once a day for 21 days. This is because it take at least 21 days to wire new neural circuits of new beliefs and habits into the brain. However, I have more recently taken to 90 day repatterning challenges. 21 days is good, but repeat something day in day out for 90 days and your brain will completely pick up the message and it will sink deeply into your subconscious mind. The subconscious mind is what’s running the show, so re -patterning, rewiring, creating new habits and behaviours with practices like the field clearing technique is a really beneficial thing to do for yourself if you’re wanting change and transformation in your life. Doing it for 90 days is longer, but, the thing is that when you start taking on a daily practice with consistent daily action, you kind of get used to it! It becomes part of your daily routine. And, when that practice is something that’s making you feel good, you kind of get used to it that little bit more! So, as far as I’m concerned 90 days of consistent self loving action, like doing the field clearing technique, or saying specific affirmations, or doing some kind of exercise routine is beneficial because you are rewiring your brain and powerfully creating new natural habit patterns that you get so used to doing it’s hard to give them up! How Can This Technique Help you? The guided audio that I’ve created below is for wiring in ‘Health, Wealth, Happiness and Fulfilment’. However, the field clearing technique can used to reinforce any new concepts, patterns, behaviours and beliefs. I’ve written a blog about how to do it, which you can check out here. Why Am I Doing This Technique? Myself and a friend have both had recent diagnosis of cancer. So I started thinking about what daily practices can I start incorporating into my daily routine that will help me with developing the kind of mindset that’s needed for being able to deeply look after, love and heal oneself from cancer. So, I made this guided audio, using the field clearing technique around creating a pattern of Health, Wealth, Happiness and Fulfilment. Myself and my friend are tapping along to this field clearing technique guided audio for 90 days, paying attention to what changes settle into our experiences, thoughts, beliefs, etc. and visualisation (which uses all of the senses and the emotions to supercharge the results that you get from changing your thoughts and beliefs). These two approaches combined create a process that is rather enjoyable, fills you up with feel good vibes and heals the patterns that you;re carrying around. It has long term positive effects, but it makes you feel good right now too. And right now is all there is, so crack on! So, if you would like to reap the benefits of being able to change your vibration right here and now, and/or you would like to embark on a habit changing energy medicine regime for the next 90 days take a listen to this guided audio/YouTube video and tapalong. If you would like me to create a guided field clearing technique audio for something more specific please drop me a line and let me know. P.s – If you would like to find out more about the work that I do online, and how I have a great community of people world wide supporting my growth and education, and, if it seems like something you’d be interested in getting involved with then follow this link and you’ll be given instant access to a free Video Bootcamp Series x Enjoy the ride! This entry was posted in Alexa's Creativity, Alexa's Journey, How to Heal & Love, Random Stuff by admin. Bookmark the permalink.